Burro Buddy: Because you already have your hands full. The Burro Buddy holds your long handle tools, short handle tools and even your drink! With a water resistant compartment for your cellphone, it provides maximum organization while taking up minimal space on your wheelbarrow. 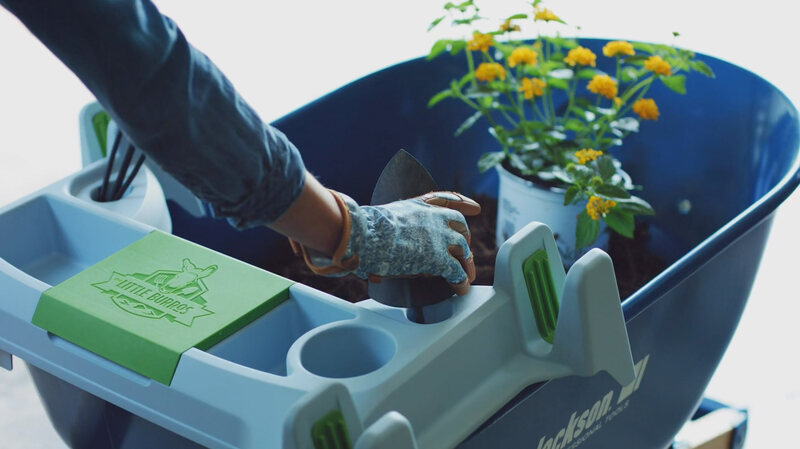 Easy on and easy off, The Burro Buddy becomes a portable tray throughout the garden! Made in USA and a lightweight four pounds! Provides the user with maximum organization while completing the tasks at hand all while fitting the four, five, six, and seven cubic foot wheelbarrows. Learn how we continue to honor Becca's legacy.